The Topshop Virtual Reality Experience AW14 For London Fashion Week AW14, Topshop Unique partnered up with ground-breaking technology agency, Inition, to create a complete virtual reality world of the Topshop Unique show. 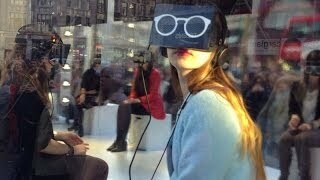 Four lucky fans - who won a seat on the virtual front row by sharing their London Fashion Week style through Instagram and Twitter - sat in the window of our Oxford Circus store and donned bespoke virtual reality headsets and headphone that played the show live from the showspace at Tate Modern. The fashionable winners were not only able to see the models walk directly past them but also look up to the Tate Modern ceiling, to the celebrities sat virtually next to them and kept updated with a moving Twitter feed. Don't forget you can still experience the virtual reality experience by heading to our Oxford Circus flagship, sitting in our main window and re-living the Topshop Unique show with the virtual reality headsets! 360° video VR Fashion Show – Freedom of Fashion – de Bijenkorf De Bijenkorf presenteert de trends en musthaves voor het komende lente- en zomerseizoen. De Fashion Show Freedom of Fashion, exclusief voor onze Privilege Members, vond plaats op zaterdag 27 februari in de Laurenskerk in Rotterdam. 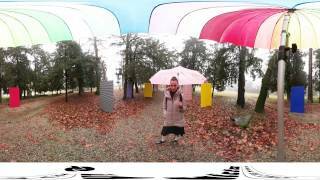 Bekijk deze Fashion Show in 360 graden VR video. Deze video is geoptimaliseerd voor Google Cardboard. Als je via een Cardboard VR bril kijkt, vergeet dan niet de kwaliteit op maximaal te zetten. Met medewerking van MAC Cosmetics. 360° Film: Kate Moss & Scent Of A Dream | Charlotte Tilbury Experience Scent Of A Dream perfume with Kate Moss in her first ever virtual reality video. Discover Scent Of A Dream, a fleurotic fragrance by Charlotte Tilbury. 1. Select 4K quality on the bottom right of your screen. 2. Play it from one of the following browsers: Chrome, Firefox, Internet Explorer or Opera. Augmented & Virtual Reality for the Fashion Industry | Anna Rojahn | Fast Forward Imaging There’s no getting away from the fact that Augmented and Virtual Reality are on-trend right now, but how do they actually work? How can brands and retailers use these new media to communicate with their audience in a creative and inventive way? 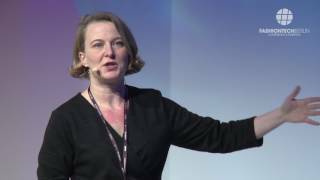 In this special session with Anna Rojahn, Founder and Managing Director of the futureproof tech company Fast Forward Imaging, you will discover the impressive potential of AR and VR for the fashion industry, with a special focus on immersive experiences and storytelling to reach and increase the customer base. Coded Couture By Ivyrevel - Introducing the Data_Dress Visit http://www.codedcouture.com & have a chance to win your own Data_Dress! 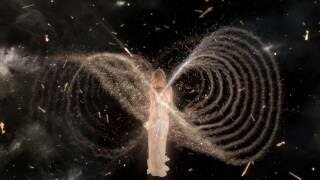 The worlds first Data_Dress is created by Kenza Zouiten. 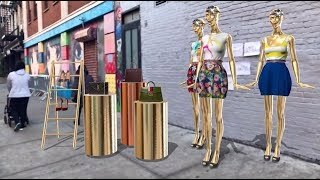 AR pop-up store, powered by Obsess Augmented Reality pop-up stores can appear anywhere, anytime - in your house, on any sidewalk. Fully photorealistic real-time rendering of 3D objects, reflections and shadows on mobile. 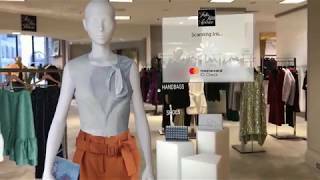 Mastercard Eyes the Future of Retail with AR Mastercard unveiled an augmented reality shopping experience with Qualcomm Technologies, Inc., incorporating Masterpass and Identity Check Mobile with iris authentication for safe and seamless payments. FXMirror_3D Virtual Fitting Solution FXMirror, an augmented reality-based 3D Virtual Fitting Solution, allowing customers can access a convenient way to try on new clothes to see each piece of clothing realistically draped over them, moving freely as the shopper moves, without the hassle of waiting for a physical fitting room. FXGear also provides an easy to use DB software for FXMirror, which can create a photo realistic look and feel 3D data from just the front and back photos of actual clothes within 5 to 10 minutes. Augmented Reality in Retail 2017 Watch the full keynote presentation at https://www.youtube.com/watch?v=jc935S6sjkE or visit Tod's web site at http://todmaffin.com/presentations for information on bringing him to your event.